Really Scary – Is this the end of humanity? Watch the video below for a recap of the calamity that is Fukushima. Over the last couple of weeks, we’ve received messages via the website and from Facebook, that this is being over dramatized, that’s in only a minor event. Watch the video and you decide. Then after you watch the video, look below for one of the scariest images you’ll see. 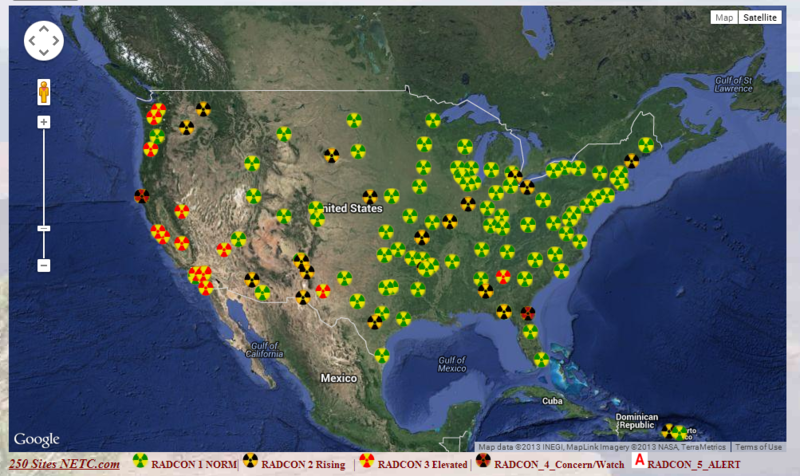 It shows radiation levels in North America in every state at this point in time.